This weeks photo was taken after a trip to the park. 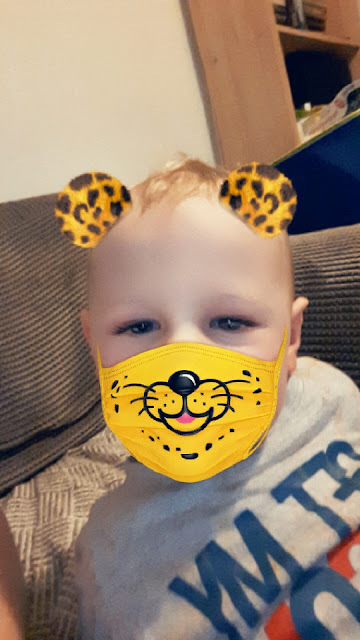 Blake and I were sat on the sofa and I sent over a photo via snapchat to my sister and of course Blake wanted to join in. He loves having his photo taken these days and finds snapchat so funny especially with trying to take the ears off himself.